Bluepoint's goliath remake of the PS2 classic took home nearly half of the total votes in February's poll. The results are in! 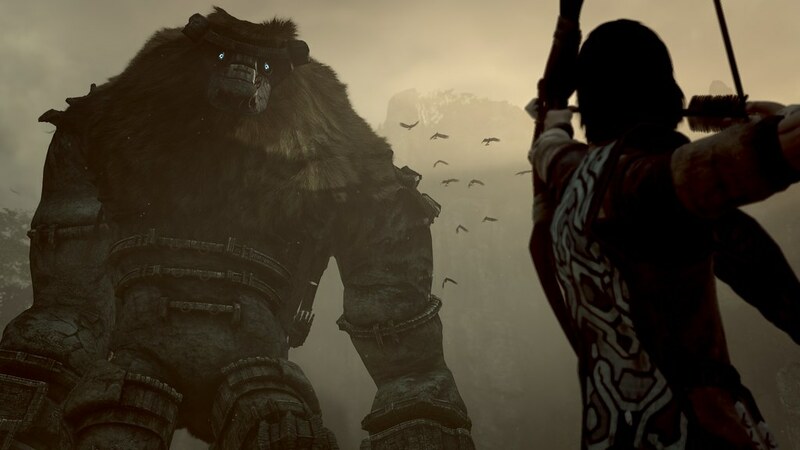 Bluepoint’s massive rebuild of Shadow of the Colossus towered over the competition, handily securing the win in February’s Players’ Choice poll. Kingdom Come: Deliverance and Sword Art Online: Fatal Bullet took home enough votes to land in the second and third-place spots, with voters showing up to support Metal Gear Survive and Moss as well. Congratulations to Bluepoint Games on a well-deserved win! We’ll see you in a few weeks to begin voting on March’s release slate. February is nearly over, which spells the beginning of another Players’ Choice vote! Players’ Choice is a way for PlayStation fans to recognize the very best games on PlayStation platforms. Last month, Monster Hunter World captivated PlayStation fans and managed 50% of the overall vote. Who will take the crown in February? That’s up to you! Read on for more details on Players’ Choice, or scroll down to cast your vote. The poll closes on Sunday! How does it work? On the last day of every month, PlayStation.Blog will open a poll where you can vote for the best new game released that month. Seven days later, we’ll close the polls and announce the winner on PlayStation.Blog. PlayStation Store will also showcase some top Players’ Choice winners will throughout the year. What is the voting criteria? That’s up to you! If you were only able to recommend one new release to a friend that month, which would it be? In keeping with our long tradition in the Game of the Year Awards, remastered or re-released games won’t qualify. Larger-scale rebuilds and remakes like Shadow of the Colossus and Crash Bandicoot N. Sane Trilogy will. How are nominees decided? The PlayStation.Blog and PlayStation Store editorial teams will gather a list of that month’s most noteworthy releases and use it to seed the poll. Write-in votes will be accepted. Time to get started! Tell us: what was the best game of February 2018? 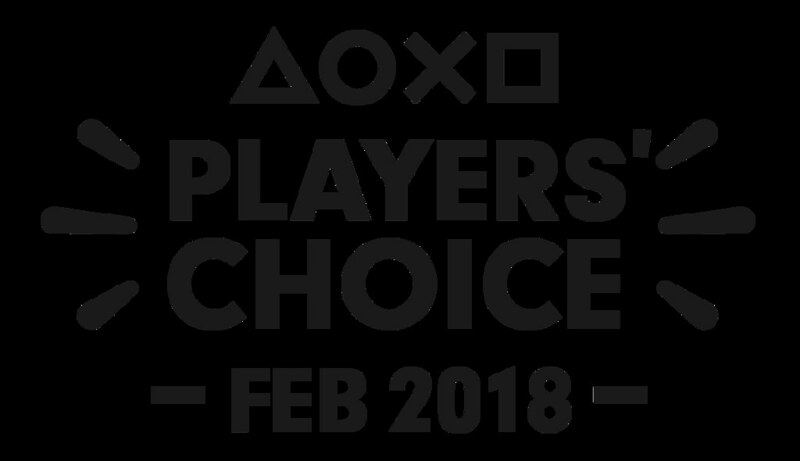 Players’ Choice: What Was the Best Game of February 2018? Kingdom Come Deliverance. Enjoyable game, does need some improvements (which are being fixed by developers) but I do think this is the best game released in February. Well, it’s not Metal Gear “pay 10 dollars for a save slot” Survive, that’s for sure. Funny isn’t it?…its as if they want the game to be born dead.Well not like it wasn’t to begin with but still what a dumb move. I’m voting for metal gear anyways because I want to troll. Shadow of the COLOSSUS Hands down! I liked other games but SotC trumps all the others on that list for me. Kingdom Come Deliverance. Definitely KC:D. Despite all the bugs that will get ironed out, this game has really hooked me. While Shadow of the Colossus is one of my all time favorite PS2 games, I had to vote for Moss, both because it’s a new game and because it’s just completely incredible, and the VR is implemented very well for a 3rd person perspective. Dunno what to vote for but its a shame that Shadow will win since its a PS2 game…no matter if it was “really” remastered,only PS4 games should compete. it’s literally not a ps2 game at all. Just based on a ps2 game. Sword art online fatal bullet is my favorite game of the year so far. Definitely an underrated title imo. In all seriousness, I’m casting my vote for Sprint Vector. I’ve only played a little so far, but it’s a blast to play (it’s now in the running for one of my favorite VR games) , and I think the devs deserve major props for the creativity of the controls alone. SHADOW OF THE FLIPPING COLOSSUS! Shadow of Colossus! played it when I was younger and played this new version and it didnt miss a beat! On my way to 100% this game no matter what! Shadow of the Colossus was objectively the best game to come out this month. Exactly! A timeless magnum opus. because it came out in January. lol. Ahhh, this reason makes sense haha! Why no sales on the dlc only? Moss for me, with Shadow of the Colossus a close second. I’d like to give Kingdom Come Deliverance a shot, but don’t have the time right now. Dynasty Warriors 9 for me. SOTC will be the best game ever made of all time. Sadly it will not win due to the lack of people who have VR. Secret of Mana for the remaster, Shadow of Colossus just didn’t have that nostalgia like SoM does. Crossing Souls and Fe are my favorites and can’t really decide which is better on PS4 not VR. Shadow of the Colossus/ Wander and the Colossus is the best game ever made of all time. MOSS. Shadow of the Colossus already came out on another system. The game I played during February cast a colossal shadow. Well deserved for Shadow of the Colossus but I feel like Moss should have been second. Such a great game. gee….. i simply dunno…… if i had to venture a guess as to my favorite game of February 2018 than it would have to be Tom Clancy’s Ghost Recon: Wildlands. i have found a true challenge, and not a bunch of adolescent kids running around swearing at me. then there is the great way they added the Predator from the 1987 movie……. still can not beat that beasty, but i have found it entirely enjoyable to be on a small online game for a change working together with people on a common goal. that is only my opinion whether anybody agrees with me or not. i simply do not think it should be for the newest of games just released during that month, or even the month prior, but any game you take a real shine to.